The conference will be held in Davis, California, USA. 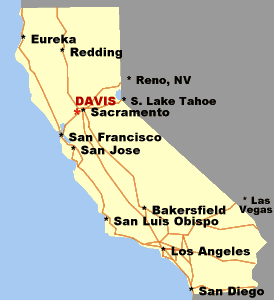 Davis is in the Central Valley of California, between San Francisco Bay and (very near) the state capital, Sacramento. 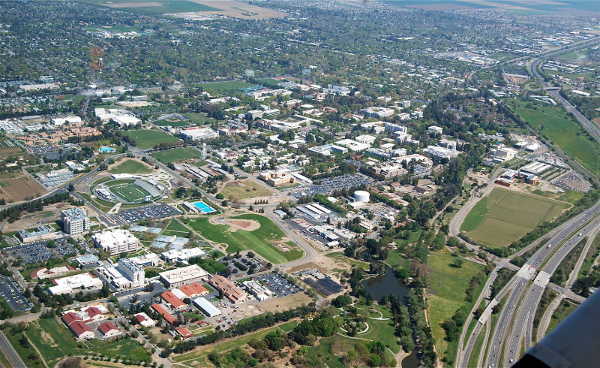 Davis has a population of about 65,000 residents and is home to the University of California, Davis, one of the 10 campuses in the UC system. 2017 is Davis’s Centennial and also the 50 year anniversary of the city’s, and the country’s, first bicycle lane. 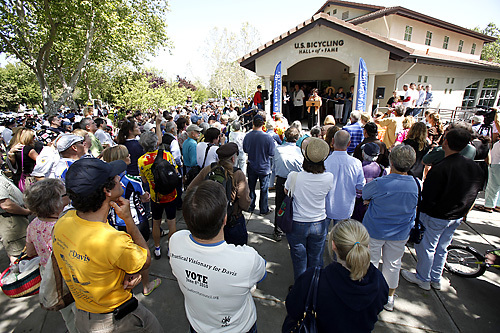 In addition, in 2006 Davis was awarded the first Platinum Bicycle Friendly Community award by the League of American Bicyclists which it holds to this day. For more information about Davis, see the comprehensive Davis Wiki. The largest employer in the city is the University of California, Davis, a public research university and one of the 10 campuses of the University of California system. It was recently named the most sustainable university in the world and enjoys an even higher bicycle use than the city at large, having also been named as a Platinum Bicycle Friendly University by the LAB. The main conference events will be hosted at the UC Davis Conference Center. The conference center is on the southeast side of the UC Davis campus, near the Mondavi Center, and between I-80 and the UC Davis Arboretum. The conference’s Friday night dinner will be located at the United States Bicycling Hall of Fame located at 303 3rd Street in downtown Davis. 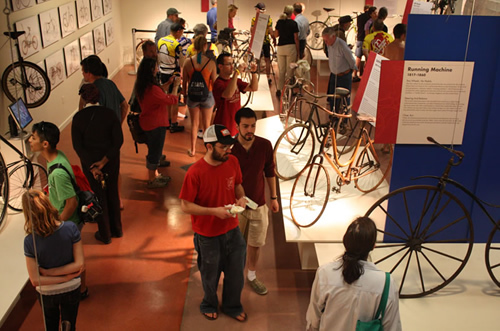 Attendees will be able to tour the hall of fame and the antique bicycle museum. A special exhibit on highwheelers will be displayed during the conference week. Davis is the preeminent cycling city in the USA. It was the first city in the country (in 1967) to install bike lanes on city streets, motivated by similar infrastructure in Holland. It presently has by far the highest cycling trip mode share in the USA, with about 22% of all trips accomplished by bicycle. There are more bike paths and lanes per capita in Davis than in any other US city, because for 50 years the city has insisted on bike friendly new development, maintaining connectivity to the existing infrastructure. Davis was named as the first Platinum Bicycle Friendly Community by the League of American Bicyclists (LAB). Check out the extensive bike network on the Davis Bike Map.